By Angelbert Wamambo- So I’m sure you’ve come across colorful posters and technical words like hack & code all over your social media timelines lately right? Maybe you might have thought ‘nah this ain’t for me’ or it’s for the nerds, well it’s not, it’s for you actually. What am I on about? The annual TechFest of course. So I’m sure you’ve come across colorful posters and technical words like hack & code all over your social media timelines lately right? Maybe you might have thought ‘nah this ain’t for me’ or it’s for the nerds, well it’s not, it’s for you actually. What am I on about? The annual TechFest of course. It couldn’t have come at a more appropriate time in a more suitable city. With the Bulawayo creative hub slowly positioning itself in the regional & global markets of different trades, it is only right to factor in technology at the epicenter of all this. It’s not by accident that we’re called the online generation, it’s probably fate. We’re living in a time where problem solving is done faster & more conveniently through technology and thanks to the internet, we’re a global village hence we don’t need to reinvent the wheel, we just share knowledge. This is being made possible by emerging & established start-ups especially locally that are covering the divide between Zim and the global markets thanks to initiatives like the TechVillage. This is in fact the whole point of the upcoming TechFest. 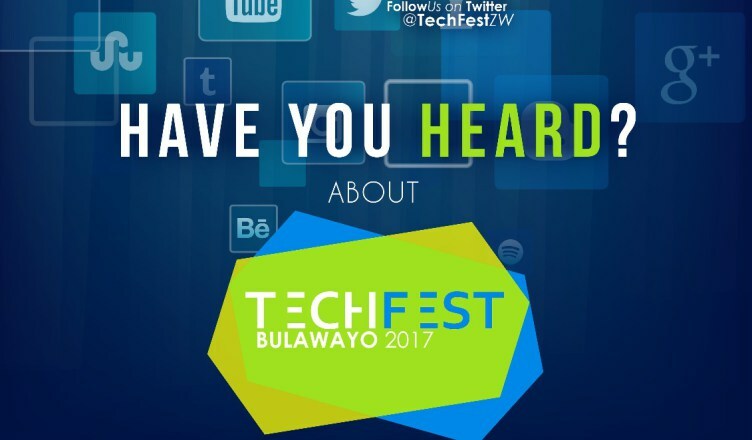 TechFest is an annual event created to catalyse the development of local innovations that have the potential to impact communities at a global scale. It achieves this by celebrating existing start-ups working on emerging technologies and acknowledging young innovators working on potentially disruptive ideas. 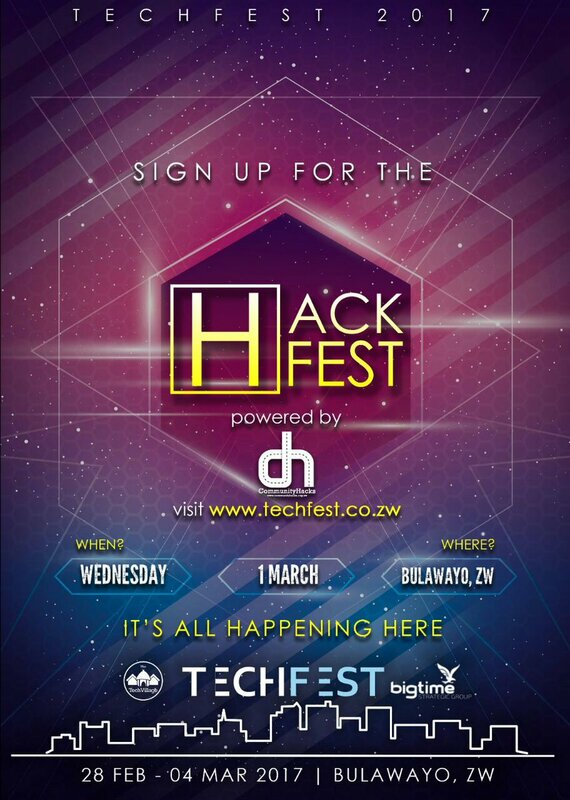 “The TechFest brings together entrepreneurs and hackers from the startup world, industry leaders and policy makers from the private and public sector as well as investors and financiers to discuss key issues surrounding technology in Africa and understand the state of innovation and entrepreneurship. Organised by the TechVillage, the festival seeks to identify and celebrate the daring young innovators that are rebuilding industries and cities, whilst educating the public on the role that technology can play in their everyday lives,” said Takunda Chingonzo, Founder of Techvillage. You see, Africa has it’s own unique problems that need African tailored solutions. We are blessed that we have the highest number of youths compared to other continents which means we’re the youngest & sharpest continent. Imagine what we could do if we come together as young people and dialogue with policy makers? What I’m most excited about in this whole program is the inclusion of the girl child in the program, if you’ve seen how the girl child has been propelling the STEM programs in science & technology then you’ll understand my excitement. The festival will run for five days (28 February- 04 March) and everyone is accommodated in the program. From Hackfests, Street pitches, LAN party, to TechCon, the program promises to be a banger! For more details on how you can be part of the festival of festivals in the City of Kings & Queens, click here to visit the Techfest site and get your tickets. Previous articleHave Zimbabwean “Celebrities” Mastered The Power of Social Media?